LeLutka is releasing the Kit skin tomorrow, finally! Although I have been teasing you guys with the Gem skin, Kit will be released before Gem. Kit and Gem are “sisters” so they have very similar features with a few differences. I prefer the brows and nose on Gem, but if you’re a fan of dark brows and that button-nose look, you’ll like Kit more. It’s too bad Kit/Gem are not being released at the same time, so you can’t really compare ’em yet. LeLutka Kit comes with 8 makeups, dark hair base version, breast enhancer, and a pair of gorgeous sculpted prim lashes that is scripted to change 6 different color. If I had a dollar for every time someone asks me about my eyes, I would have a lot of dollars. Seriously. These new LeLutka Ellis eyes are beautiful and so realistic. I am very picky about eyes but I also like to change my color/style often so I’m definitely happy there’s a new set to play with. they have prim eyes in the pack too, not just system eyes? 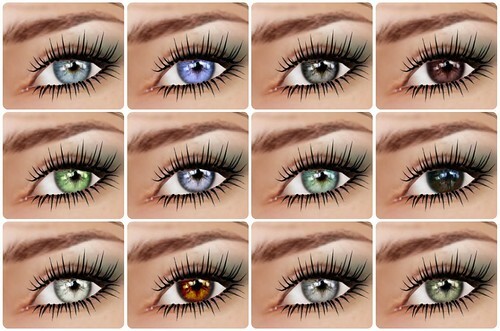 No, these are just texture eyes. Ever since LL fixed the “disappearing eyes” issue for shadows, I don’t really use/need prim eyes anymore. Ill make sure to look into this, what hair is that? It surely is a million times better than stiletto moody’s grotesque skins!